School is in session with The Eagles. Celebrating over 40 years in existence and last year’s documentary “The History of the Eagles,” they have been on the road for months on the tour of the same name. They finally arrived in Dallas with shows on Friday and Saturday, October 11-12. With a set running over three hours, the band touched on the highlights of its past with sentimentalism, humor, and a lot of truly classic music. Joining The Eagles on this tour is New York’s JD & the Straight Shot. 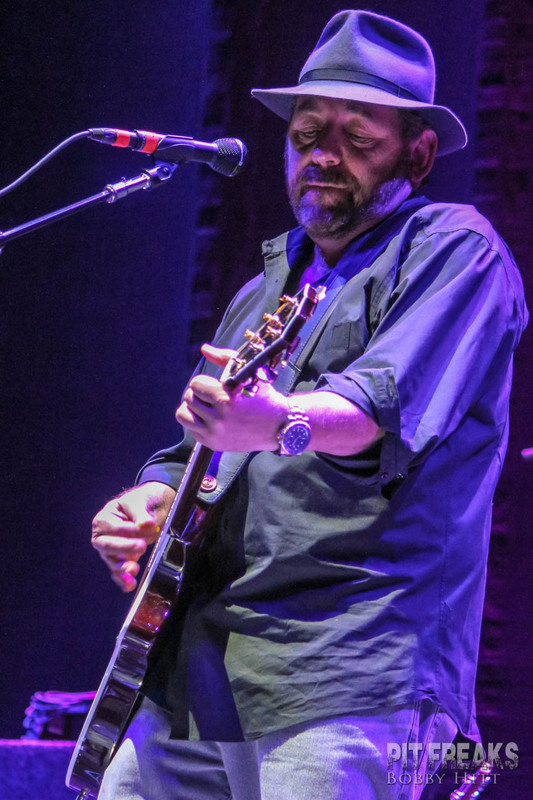 The band is fronted by Jim Dolan, who is also known as the President and CEO of Cablevision and Executive Chairman of Madison Square Garden, Inc. Knowing about the strong Big Apple ties, it was a bit of a surprise when they started playing New Orleans-style blues-rock. I found myself wishing I was kicked back with a cold beer or margarita, the better to absorb the rhythms and mysticism. After the set change, rather than The Eagles storming the stage en force, Don Henley and Glenn Frey took the darkened stage alone. Perching on a cabinet and a stool, respectively, and armed only with their acoustic guitars, the duo led off with “Saturday Night.” As the song ended, they began talking about the formation of the band. These stories continued between songs throughout the first segment of the performance, and periodically through the rest of the night. As he was mentioned in the story, Bernie Leadon joined the men on stage, leading into “Train Leaves Here This Morning.” As each song passed and each story was told, another member joined the band onstage, first Timothy B. Schmit and then Joe Walsh. Finally, with the fifth song of the night, “Doolin-Dalton,” the full band was revealed, the concert lighting ignited, and things took off. Before I wrap this up, I have to say something about the visuals. The look of the show was simple, but frequently gorgeous to look at. Starting with the simplicity of the dark stage with spots on the performers, and leading into the scenic backdrops, a great deal of care was taken to match the look to the music, rather than simply having as many lights as possible flashing around. 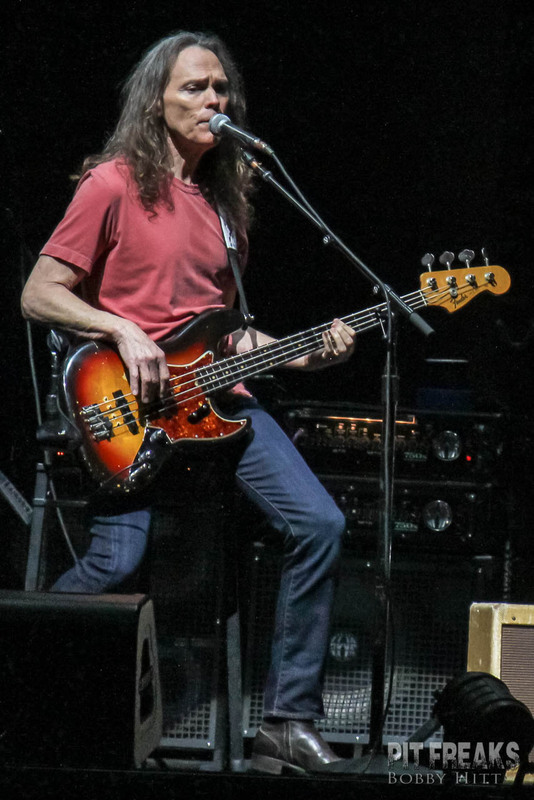 The “History of The Eagles” tour continues into November. Any fan of The Eagles, casual or otherwise, really shouldn’t hesitate to try to catch one of the remaining dates.